I remember an old PC graphic adventure game where the main character made his living fishing in the ocean. I don't remember a whole lot from it other than I recall needing to get gloves to pull either conches or urchins or something out of the shallow waters, and there was a deep sea fishing rod that I needed to go out and get sharks. My memory is incredibly hazy past this though so it's really gonna be a challenge finding it. If anyone can figure it out I will forever be in your debt. That reminds me of the Breath Of Fire games, though they were mostly on consoles rather than PC. I know the first 4 games all had fishing in them, and I remember gathering urchins for bait in the first one. The main character in all of them has blue hair, if that rings a bell? No this one was definitely a PC game, and I think the plot revolved around fishing. It sounds boring as hell but for some reason I very vaguely remember enjoying it. I also remember I could only get so far into it because it was a shareware trial. I'm usually really good at finding old games I've played based off of vague recollection, so this one is absolutely driving me nuts. I am looking for a Windows PC game from my childhood, probably in the early 2000s. Everything I remember is very foggy but I am going to give as much detail as possible. It was set in a medieval fantasy sort of era and action RPG kind of game. I believe in first person and I remember in the early portion of the game, you enter a castle and are running around the sewers fighting goblins and dodging arrows from large crossbows. I definitely did not get very far into the game because I was very young. I think the disk box was grey and blue coloured and there may have been a man or skeleton on the outside. Any help would be greatly appreciated, as I have sorted through huge game lists with no luck. Hi guys. There's this game I played in ~2010, but I can't recall the name of it. It is an escape & adventure pc game. I somehow had that game on my desktop back then. So basically, this guy, I think with a green t-shirt, is in his room, trying to go to bed. He wakes up and leaves his room, but he isn't in his house anymore. He is somehow in another planet (or I think in a spaceship or something). He attends this weird assembly where other people and aliens get brainwashed. So this game is basically about him trying to escape this weird planet and go back to planet Earth. In the game, there's a burger restaurant, an amusement arcade, and other buildings where you need to enter and find out passcodes and get hints from. At one point, you meet this alien doctor. I think at the end, he either returns to his home or it turns out that it was all his dream, but I am not 100% sure. This isn't a shooting/action game; its main focus is wandering around, collecting the clues and go back to his home. The Witcher 1 had sewers and goblins and stuff like that. Heh, there is this game again "Out of Order" (2003). Hello everyone.I am trying to find a PC game about 10 years ago. Role in the game uses crossbow and melee weapon at the first set out. Hexagonal items rotate on the ground and have three colors.Purple item could cause explosion and blue item could summon blue lightning. Picking up bottle could recover HP. 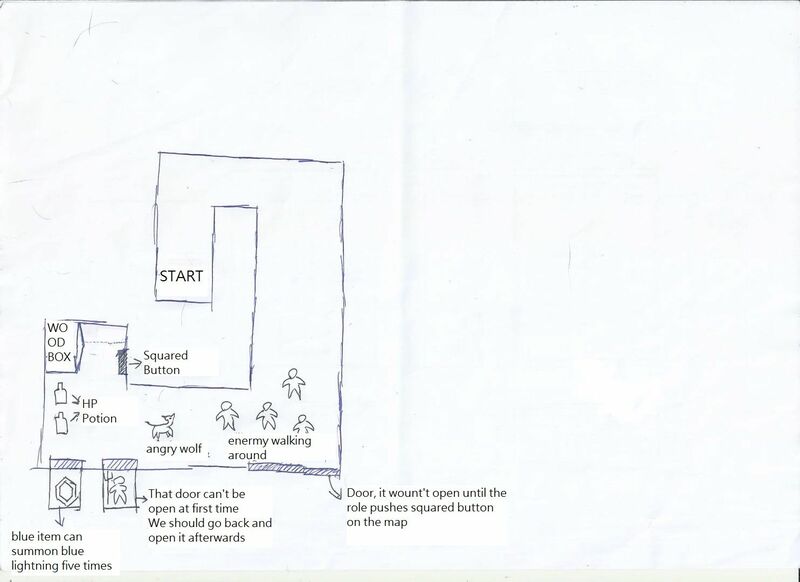 To open door to next area,role needs to push squared buttons in the map.Sometimes,role must dive to push them. By the way,I can choose difficulty when starting playing it. If anyone know this game,please help me.Thank you a lot! My first thought was Heretic, but you said that one, so I believe the game you're looking for is Strife. The first two weapons are the Punch Dagger and the Crossbow. EDIT: It also could be Orcs & Elves. Alright, I need help finding a childhood game (arcade game) that I believe was made in the 90s. It was a top down shooter similar to Space Invaders. You play as a little boy on a hoverboard that allows you to move side to side on the bottom of the screen. You shoot a lazer gun and kill aliens and mechs, I think (my memory is a little foggy so I'm not 100 percent sure on the finer details). I distinctly remember it saying it was made in Mexico so it might've been a english port from Mexico, I'm not sure. Also the boy wore a reddish/orange hat, I don't know why but that always stuck out in my mind. I played this at a Whistle Stop Station daycare center in Rowlett, Texas. I only say that on the hightly unlikely chance that someone that has ever went there may have played the game and can tell me what its called. So uh... Yeah, please tell me what this game is called so I may have the hope of playing it again one day. force powers? This mid-tier, AA game is apparently so unremarkable there is no evidence of its existence on Metacritic, Eurogamer, or Gamewise. Good evening fine people. I was hoping for a little help as I am looking for a game. It was an older pc title from mid to late 90's. Fantasy setting, overhead view when you were in a map and after you finish a map it was a staticish town view where you could hire mercenaries and equipment for yourself and mercenaries (armor as ludicrous as crystal armor even). You had a hero that carried with you from map to map and there was a story line of sorts though I don't remember it. I recall using goofy magic missile spells that were multicolored as well. Thank you if anyone has any hints! Looking for a old pc game. You are playing as a robot with multiple weapons: lasers, rockets and miniguns. You can jump in and out of several type of mechs: Flying mechs, Ground based mechs and so on. There are several element of base building and sometimes AIs control other mechs too. What C64 80-90's game was this? You have to search walking streets for motorcycle parts, character is from a german(?) cartoon, heavy rocker, you can mosh by pressing joystick button and pull stick back. Hi, I I'm looking for an old game that I played with windows 98. There was a green character with blue mantle with an helmet that rotates over himself and he had to rescue his friends. It was a platform game. I remember that in the first level there where waves and in a forest environment at night. "The Adventures of Lomax" (1996), aka. "Lomax" (if you're in Europe). Hiya. New to the thread. I've got one that's been making me scream in frustration cause I can't find it. So here goes. I can only remember vague details. It was on PC, very late 90s or early 00s. I think it was a sort of puzzle, minigame collection type thing set in a sort of hotel. As far as I remember, you completed all the games on one floor to move to the next (my memory is a bit foggy on this). There is one bit I remember clearly though... in between floors there was this elevator, and there were these two bellhop dudes that looked like sock puppets (I think they were sock puppets... they might have been something else). While you were in the elevator they'd say stuff to pass the time - the one I remember was a hideous dad joke, "why was six scared of seven... cause seven eight nine." That's all I can remember about this game, and I probably got a lot of those details wrong too. Maybe someone'll know. It was a game where you go into these guys bodies and you shoot bubbles and viruses while avoiding things. When you enter you have to avoid mouthwash. Hi everyone, I'm looking for a game from around ~2000. I played a demo of the game. The most notable thing I remember was that you started in a castle on a floating island, and that the world was composed of floating islands and random floating rocks. You flew around the islands on a bird(? ), there wasn't really a boundary to the world, if you fell to the bottom you sorta came out the top. Your character was a small boy with a sword. If anyone has any idea please let me know, thanks! Hi guys, Im hoping sum1 can help me remember the name of a certain game i used to play back in the day. 90's to be particular. The Game was a 3d walkaround Shoot-em-up 1st person. Like Halflife. And the player was a Revolutionary. Anyway , I cant for the life of me remember / Find the game to play it again.. I remember the Logo Was a RED CIRCLE with either n R inside it or sum-thing similar. 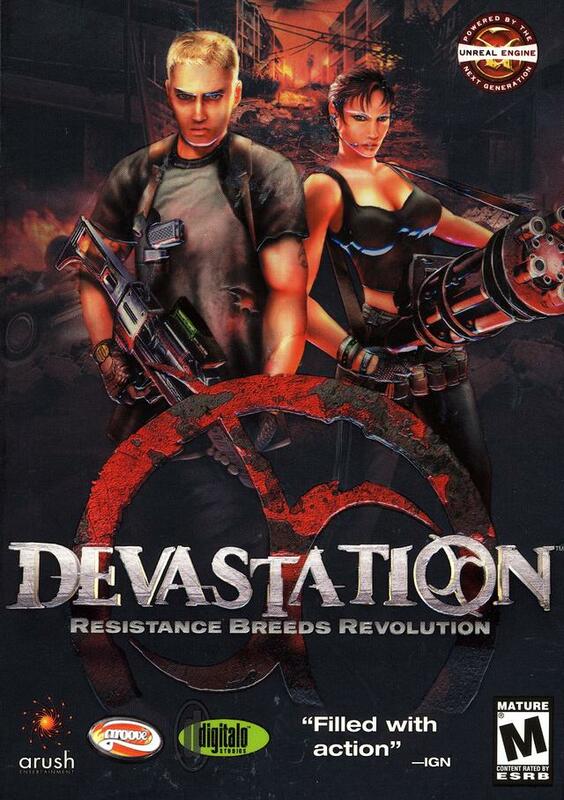 Im sure the game was called revolution or sum-thing, but iv not been able to find the game under that assumption.. I also remember that the gamer came with a Level editor. And this is the main reason i wish to find the game again also. So. I know im offering little information, But if any1 can remeber this gam,e please add your input. 5. The Player wore a Black jacket , Looked Young with a skin head. Its not homefront revolutionery either, But it realy got me thinking it was the game, But the logo's not right and the 1st level is not the same either, Plus no editor. Hey all, this one has been bugging for a long long while. Back in the early 2000s I used to go round a family member's house and they had this PC ROM game that I can't for the life of me remember the name of. From what I remember, it was a point and click puzzle/mystery game, I remember it being a little creepy (though it was a kids game). I can only properly remember one of the levels, it was right at the end of the game, there was 2 rows of rocks in a pool of lava and you had to click on them to choose which one to jump too. If you chose the wrong one you'd fall in the lava and have to start the level again, I used to get so stuck on it. Other levels you were in a room and you'd have to click around to try and find the key for the next door etc. It's killing me, all I want is that nostalgia trip! What game is this? There are ghosts of people, animals and feelings, each with their own powers. Each ghost has objects they can be attached to while in the mortal world. Missions involve scaring or tricking people by working out what they fear, and how to make them go insane. Is it probably Ghost Master? I also think of an old game that I knew the name of, played it even 2 years ago despite it being very old. It's a space shooter where you fly a ship from left to right, gathering power-ups and shooting enemies and avoiding asteroids. The two things that I remember most is the endboss and the music. It's in a fleshy level, kind of like inside a monster and the endboss is a brain with mechanical parts. And every time you fight a boss in every level the music shifts into rock style music. Also when you start up the game, it says in a very distorted voice "Welcome to [Insert game name here]"
I am probably like one you, a person who has forgotten an old game they used to enjoy. I am in need of assistance. There is a puzzle game that I cannot for the life of me find, or remember. All I can remember is that the main character is a ghost and you must guide the ghost through a level with blocks and springs and other objects. The ghost starts the level coming in through a door and ends the level through a door as well. I distinctly remember when the ghost gets to the end of the level and enters the door there was a jingle at the end. If anyone can help or jog my memory, it would be greatly appreciated. Please help me find this game. me and my sister have been trying to find it for years and it's driving us insane. All I remember is, it was a PC game we played as a kid late 90s or early 00s, pretty sure it was a point and click game but could have possibly been a side scrolling game. It had a look very similar to museum madness if I remember rightly. I remember part of it you had to pick mushrooms and put them in a basket but you had to make sure you picked the good mushrooms which were red, and not the bad ones which had spots on them. The other part I remember is at the end there was a brown grizzly bear which gave you a piggy back. The version we had always glitched at this point and the bear would start walking in midair. I believe at the end you woke up and it was all a dream. Please help me find this game or I might go insane!!! This has been bugging me for days, and my attempts at googling key phrases has failed me, so here I am. I remember this old browser game I used to play, either free browser game or free download, kind of steampunk-ish setting, I think had a single word title with either a mis- or un- prefix? Anyway, it had rpg elements with stats, with parts of text with choices with skill checks and other sections in a 3d maze, I think randomly generated, with enemies to get through? There was a song that played most of the time in game that I can best describe as being kind of similar to the inspector gadget theme song, but slower and kind of... calmer? More whimsical? It had strong tongue-in-cheek humor. The maze sections looked really old-school. Like the old Windows 95 maze screensaver? Ugh. I feel like the name is on the tip of my tongue, but I can't quite reach it. I probably played it around the very early 2000's.